Mac May - a Memory of Ashtead. 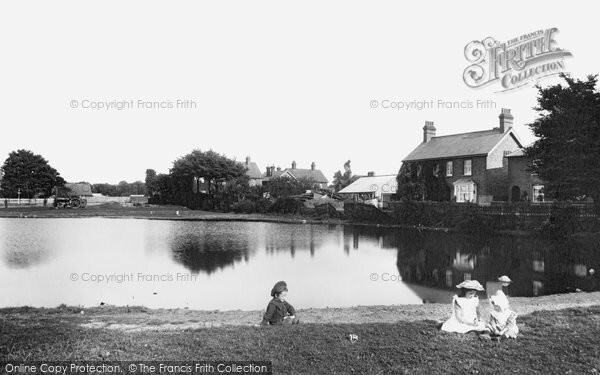 I lived in a cottage by the pond some 20 odd years ago. My neighbour, well into her 90's was Mac May (a version of her true name garbled by other neighbours' kids) who, every day, was out in her wellies digging in the garden. We had this photo &, knowing Mac May had lived in the cottage all her life, asked if she knew the children. She did & remembered the photo being taken. The boy & the girl in the middle are Mac May's elder brother & sister; the little girl is Mac May & her brother has just thrown the milk jug at her.